Beating the ‘inner mechanical magician’ within…. At age thirteen I had been performing magic for a few years and felt very ‘at home’ doing it. OK, let’s be honest, like every other thirteen year old I thought I was the greatest thing to hit magic since Houdini! I was living in England near the South Coast town of Brighton and was a proud member of the Sussex Magic Circle. This oddball collection of magicians met every other Thursday in a small hotel on the waterfront. We swapped stories and tricks and generally indulged our mutual love of magic. It was a delightful way to enter the world of magic. One of my favorites performers was a gentleman named Stan who performed as a mentalist and I learned a very important lesson from Stan; whenever Stan was about to do the dirty work or move, he would cough. It wasn’t a big cough, just a little dry cough, but the moment you heard it you knew something was about to happen. This was the first time I really noticed the mechanical nature of a fellow human being. He didn’t want to cough; in fact he had no idea that he did cough. It became a fascination to me watching Stan perform his mentalism, just waiting for the dry little cough that signaled his guilty action. Month after month I watched him perform and cough. How could anyone be so foolish that they didn’t know that they were giving the game away by a small mechanical habit? We will now flash forward to two years later: when my first real mentor was teaching me my first real magic I gave me an unexpected existential shock. I was in the middle of a lesson with Ken Brooke on Dai Vernon’s symphony of the rings when Ken stopped his tuition and very seriously said; “Nicky every time you link the rings you close your eyes!” I thought at first he was joking but quickly realized he wasn’t. I argued that this wasn’t possible and went over to the looking glass to prove to myself that this wasn’t the case. I ran through the routine with my eyes glued to the mirror but never noticed any closing of the eyes at key moments. Ken had it all wrong. However the truth suddenly dawned on me and I realized the reason I couldn’t see my closed eyes was because at that particular moment my eyes were closed! It was like a light bulb turning on in my head. The reason we don’t notice mechanical reactions is because they are mechanical. Years later when I read G.I. 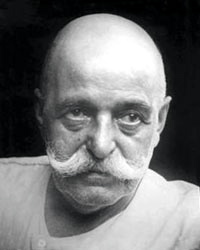 Gurdjieff’s description of the mechanical nature of Mankind it made perfect sense to me. Whether it was Stan’s cough or my closed eyes we didn’t notice it because our actions (and especially our reactions) were mechanical as soon as we stopped thinking about them. If we couldn’t see what we were doing it was because our eyes were closed or we were too busy coughing and if this was true with the little things chances are it was equally true with the bigger things. There is a Zen story of a Japanese master who would ride his donkey around the village at a great speed while searching for something. If any one asked him what he was looking for he would reply that he was looking for his donkey. This story is generally interpreted to mean that when you use your nervous system to search for the ‘truth’ you will never find it because your personal truth is contained within your nervous system. 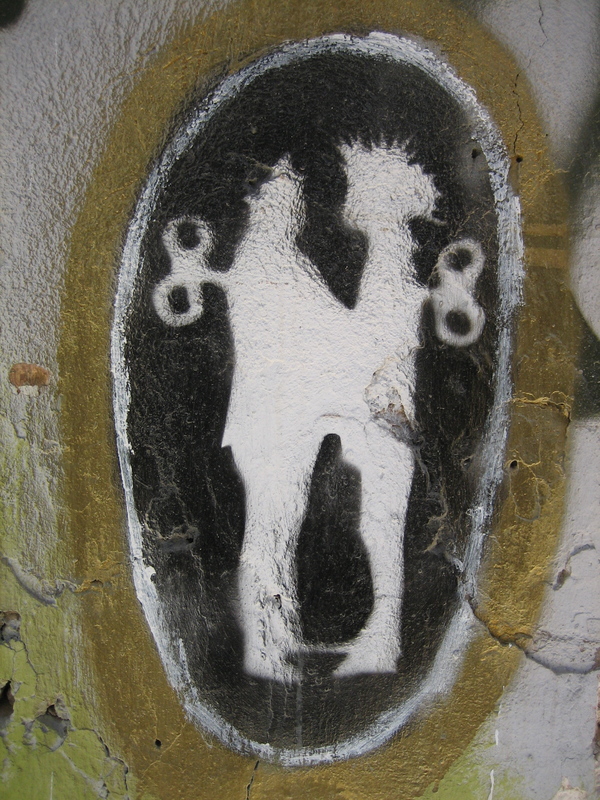 It is the donkey you are riding on and searching for. The wonderful English philosopher Alan Watts used to frequently talk about the inability of a tooth to bite itself, a fingertip to touch its fingertip or the tongue to taste itself. Even more relevant to this example he would point out that an eye could never see itself unless looking in a mirror. If you have never come across the late Mr. Watts then you should check out his website and sign up for his pod cast which will guarantee you at least fifteen minutes of searing sanity every week. His website is located at alanwatts.com or his pod cast can also be subscribed to directly from iTunes. As a magician we spend many hours standing in front of a mirror trying to make the impossible look not only possible but also ordinary and matter of fact. The performance of good magic relies on very careful and honest analysis of every movement and nuance of our physical body. It takes a long time to observe the coughs and blinks that exist just below the surface of our awareness. When you discover the little things that give away your mechanical nature then it leaves you open to observe the BIG things we do just as mechanically. This was a great lesson in being a magician and introduced me to a new angle on truth that I would explore and understand more fully when the time was right. ~ by Nick Lewin on June 25, 2013.